Dean "Iksar" Ayala and Brian Kibler presented the rest of the set on the final reveal live stream for Rastakhan's Rumble. You can find all 135 cards of the set in this album and they will soon be added into our expansion hub. 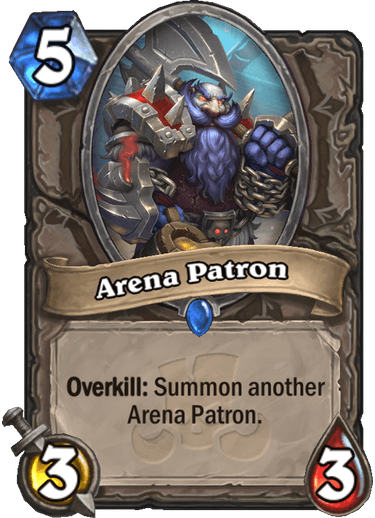 Since more than 20 cards were revealed during the stream, I have picked out some stand-outs. Feel free to share your favourite cards in the comments below! The stream started with some showcase matches. The first match was Heal Paladin for Kibler versus Discardlock. Discardlock had a very strong start, but Kibler caught up and won the game easily. 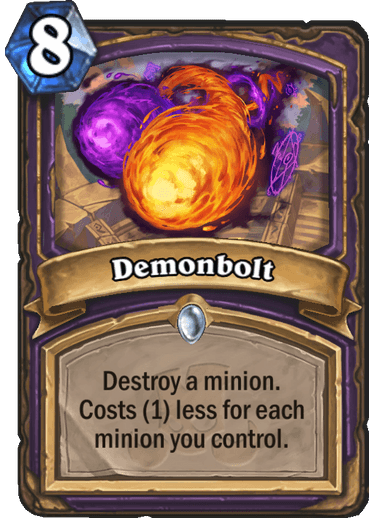 I've picked out two spells from this match-up: Demon Bolt (its actual cost is 8 mana) and Flash of Light. In the second match, we saw Feral Beasts Druid versus Pirate Rogue. Pirate Rogue dominated for almost the entire game and was this close to lethal. However, as the game wore on, Kibler somehow managed to persevere and come out victorious. 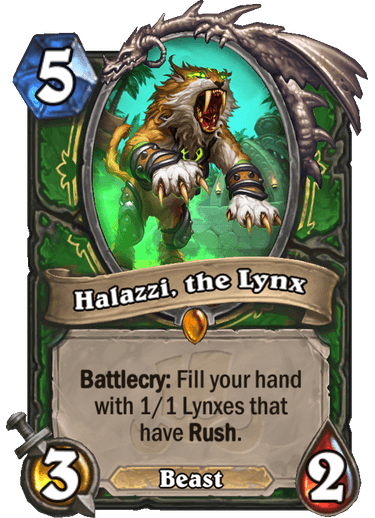 I have to say, though, the deck was not really convincing and it was carried mostly by older cards like (surprise, surprise) Malfurion the Pestilent. 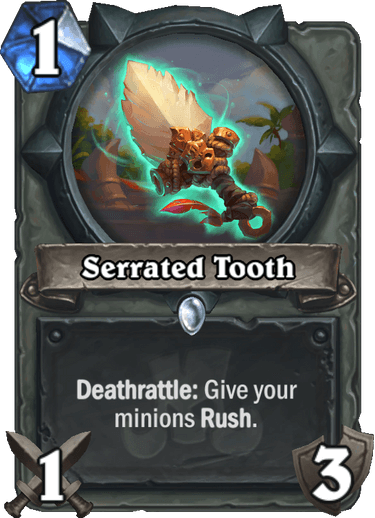 Serrated Tooth is a new Rogue weapon, whereas Pounce is a 0 mana spell for Druid. The last match was between a Dragon Rush Warrior (obviously played by Kibler) and an Evolve Shaman. This was a bit of a slower game and only two new cards were revealed. The expansion releases on December 4. 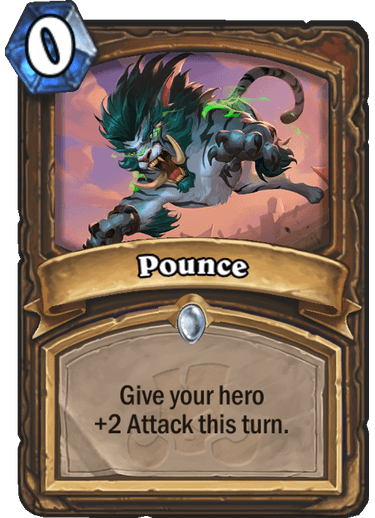 Until then, make sure to choose your Loa on the official site as you can get a free Rastakhan's Rumble card pack (more details here). How to make aggro more oppressive? Give them a pre nerf Ironbeak Owl so they can ignore freely taunts... Tar Creeper was a problem? No more with shieldbreaker you just ignore him and go face paying less than what he payed to summon the taunt itself. How to make aggro more oppressive? Give them a pre nerf Ironbeak Owl so they can ignore freely taunts..﻿. Nah, its okay to give aggro some love. I like playing against aggro (way more than playing it myself). Anyways, Shieldbreaker is even and the most "oppressive" aggro decks are still odd. Besides that, I think "Auchenai Phantasm" might become a new Priest-staple. "Spellzerker" seems pretty solid. 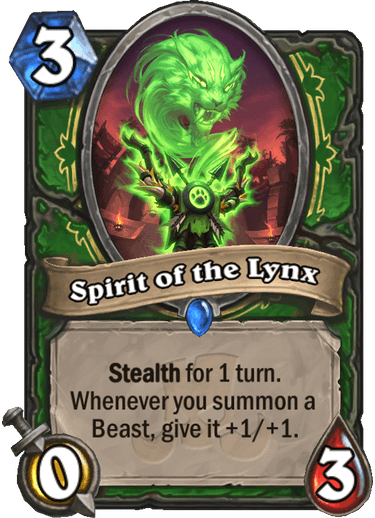 And "Spirit of the Lynx" seems ridiculously bad. But my favourite card from the final reveal is "Ice Cream Peddler"! Its not that good, but the flavour (hehe!) is so cool (ha!). Puns! I question if shieldbreaker is really worth it. It has no synergy with creature types (IE beasts/demons/etc). 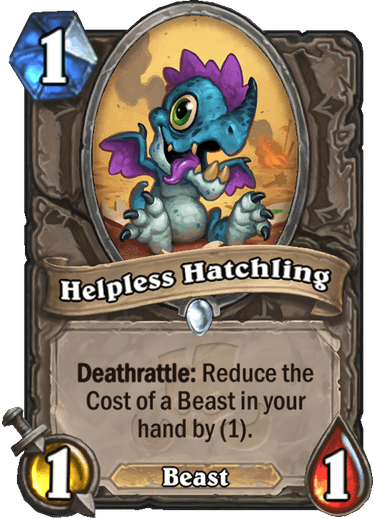 And its stats for a 2 drop are kinda bad, even if you use it to silence the tar creeper, the tar creeper can attack and kill it next turn and still be alive to plink something else (same with tortollan). 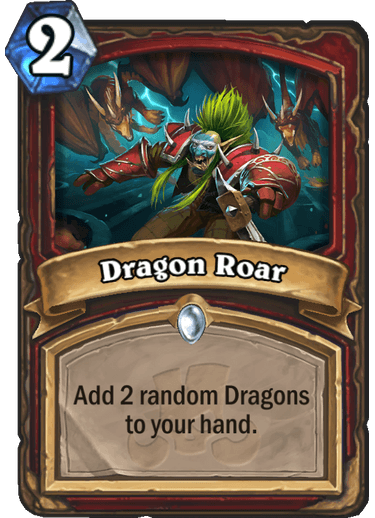 Dragon Roar is very good though IMO. There are almost no "bad" dragons, just some are expensive. 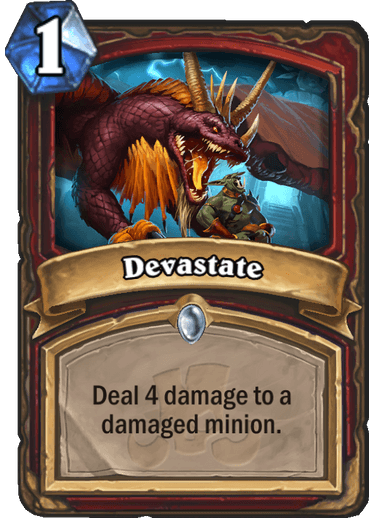 Good card advantage for warrior control and also feeds their new dragon in hand mechanics well. (I) Heal Paladin v Discardlock felt clunky on both sides to me. The Paladin took forever to do anything at all, but the warlock wasn’t able to capitalise. Maybe neither drew well or the lists were poor. (Ii) Pirate Rogue v Hero Power Druid was unconvincing too. The rogue wasn’t fast enough to capitalise on the slow druid start, and inevitably druid is going to win the long game there. Clearing board with multiple attacks from twig then regenerating your mana looks interesting though the deck theme in general didn’t seem an improvement on existing control/combo-druid archetypes. (iii) The beast hunter v surrender priest was hopelessly one-sided. 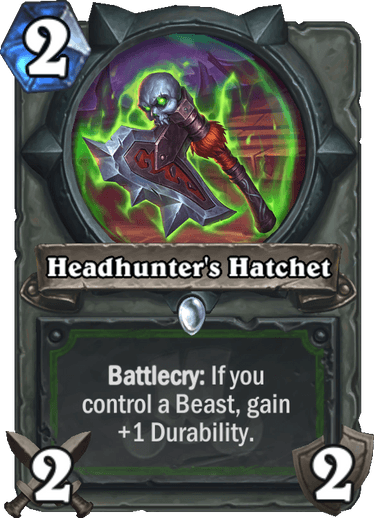 I think beast hunter will be strong, some of the cards it got are crazy. 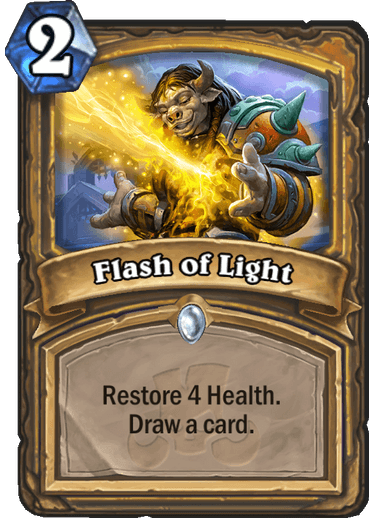 The surrender priest either drew terribly or was badly built, surely you play surrender in a list full of very small minions that benefit the most from the +2/+2s (and which leave you something to do after you decimate your mana crystals). (iv) the dragon warrior seemed decent, though the shaman list didn’t seem to get much joy that game (even after kibler gave it a fighting chance by not trading off the 9 mana 2/4 to leave a prime evolve target up). On the shield breaker discussion, agree it’ll see play in some aggro lists, but is it really that game changing? Odd lists will have to continue with ironbeak owl. Will non-Odd lists now run these AND spellbreakers? 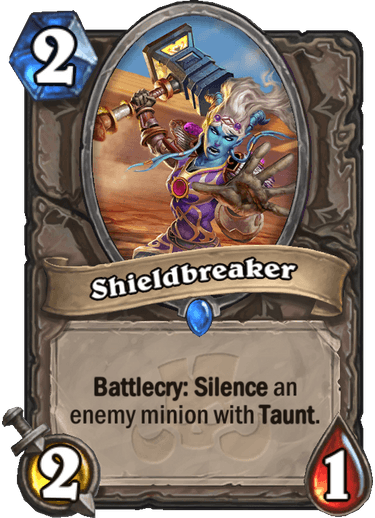 Neither are exactly high tempo cards so seems unlikely unless the meta is absolutely packed full of great silence targets. Spellbreaker is more flexible (doesn’t have to hit taunt) but shieldbreaker makes for stronger turns (since an aggro deck should be able to use the extra 2 mana more efficiently than giving the shieldbreaker the extra +2/+2 that’d be spellbreaker).